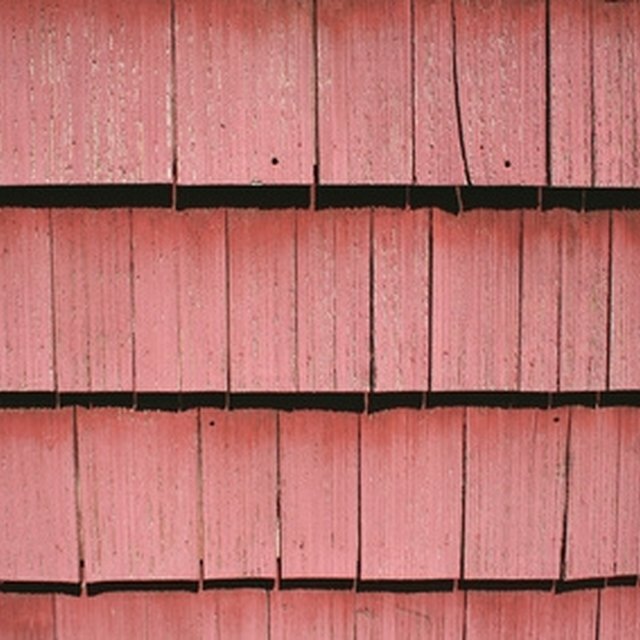 Wood siding needs more maintenance that other sidings, like vinyl or brick. But no other siding can match the charm of real wood. Cleaning the siding can be a little labor intensive if you want to do it the safest way possible. Pressure washers can be used but may be too powerful, taking off some paint or even ruin the wood if you're not careful. It's best to leave the pressure washing to a professional. However, there is a safe way that you can keep your siding clean between professional visits. Turn off the electricity to outside lights and outlets attached to the house. Cover any plants that may get cleaners dripped on them. Remove any furniture or items stored near the house. Mix 1 qt. of bleach and 1/4 cup of a good quality dish soap to 1 gallon of water. Stir well. Use a garden hose and wet the section of the house down where you intend to start cleaning. Place a long-handled, soft bristled brush in the bucket of cleaner and start at the top of the siding. Scrub small sections and dip the brush back in the solution. Rinse off the cleaner before the siding dries. As you rinse, wet the next section to clean. Work your way down so you don't leave any residue on the siding. If you still have dark spots of mildew, use a commercial mildewcide to rewash those areas. You can purchase mildewcide at paint stores and home improvement stores.